Christmas Tidings - With Cool RV Gifts! As I begin to write this, it's Christmas eve. Some family will be arriving in a few hours and I've got a ham in the oven. W'ell be having some sweet potatoes and Brussels sprouts on the side. I've got my homemade (from scratch, even!) sugar cookie dough chilling in the refrigerator with the egg nog. The weather folks are predicting a light snow. Shaping up to be a post card Christmas. But, to be honest, I went down to check on the RV this morning. Had a bit of a daydream while inside. Wouldn't it be neat to have Christmas IN the RV. Of course there would be less room and cooking would be a bit more difficult due to space, but I'll wager it would be fun! 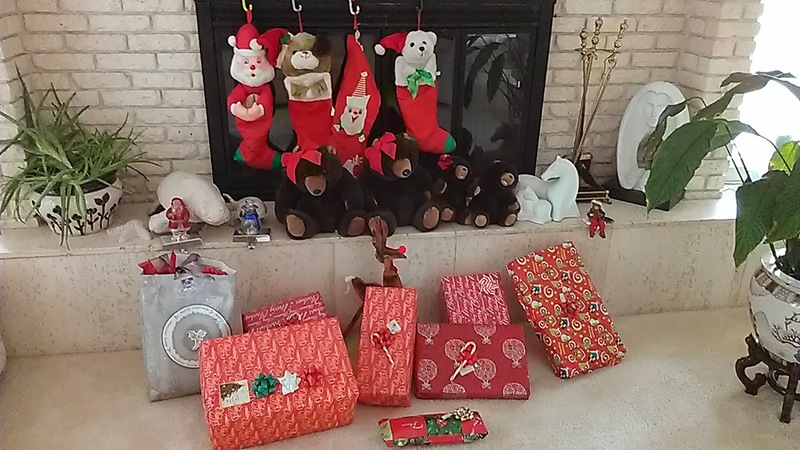 Meanwhile, back at the house, in front of the fireplace near the tiny tree are a bunch of wrapped gifts. I know what's in the ones I wrapped (and yes, I am absolutely terrible at wrapping!) but have no idea what's in the others. Everyone knows I'm an RV fan. A big one. So There's a good chance I'll have some nifty new items to use next season. When I come back to finish this article, I'll have finished off the dinner (and had lots of leftovers!) distributed and unwrapped all the gifts. I'll let you know what arrived with Santa this year. Who says it's only children who are excited on Christmas eve??? Wow! Santa (and my friends and family!!) really went all out this year. Great stuff, weird stuff, useful stuff and more. Lots for the RV! There's this 21 LED camp lantern. Runs on 3 "D" batteries or an AC adapter. Not really sure why you'd want to run on AC in the RV, but I could if I wanted to. Man is it bright! I'll probably use it to wander from place to place seeking out an honest man. (Yes, that was an ancient Grecian Diogenes reference...I'm a bit of a geek, so sue me!) Next up I finally got steel, non-stick frying pans (3 Sizes! That work GREAT with my induction cooktop. I had one that worked OK, but not great and already had all the regular pots including a big one for pasta. I can't wait to try them out this RV season! Also, some nifty new multipurpose gadgets. A multipurpose silicone trivet/pot holder/lid gripper that has a really cool hexagonal pattern AND matches my interior color. Then there's the peeler. This one slips over a finger and peels with more control. Maybe? I'll have to try this one out and get back to you. There's the flower shaped garnish maker. They say you can cut sandwiches too, but that would make for a VERY small sandwich. Again, we'll find out after I use it. Last is the baconator. I call it that since I've used it to make bacon for YEARS at home in the microwave. It channels all the grease away and makes for perfect bacon every time. A must have if you're a bacon fan. MMMM, fresh roadside produce tomatoes and lettuce on white toast with mayo and unmelted cheddar. Maybe even a few slices of Avocado. Now THAT"S an RV lunch! You know, it's not all about the STUFF on Christmas, it's the whole "Peace On Earth" mentality it fosters. It sure would be nice if everyone could get along AFTER the holidays are over. After all, we live on the same ball of rock, speeding on its' journey around and around the sun. We should share nicely. How's that for a seasonal wish? Maybe it's the RV traveling? I meet so many kind and interesting folks out there on the road. Very few are disagreeable. I wonder just how to get that concept to spread. Anyway, the New Year is almost upon us. Just a few months away from RV friendly weather. better get busy! Lots of projects to get done before that glorious day is upon me. I just can't wait till RV season finally arrives. Eureka! Wow, that feels good to say. I get to do it so rarely. OK, to be really honest, this wasn't THAT big of a deal, but it solved a problem I've had for a while. I have very little storage on-board my RV. What I have has to be packed, "Tetris-style," to maximize what I can carry in such a small volume. A couple of years ago I started using plastic, locking top boxes. They can be bought in a variety of sizes, have see-through sides and stack perfectly in my (an possibly yours) storage bays and cabinets. The problem was, small items ended up at the bottom of each bin, making you dig or unload an entire box to get to them. That's where micro storage comes in handy. What are we talking about here? What's so small that it can get lost at the bottom of a plastic storage bin and be a P.I.T.A. to get to? My main one was hardware. You know, screws, nuts, bolts and washers. While I do have most of the new ones in kits, lots of extras I save ended up rattling around at the bottom of a drawer or in one of my storage bins. How about fuses? Coins? Bits of String? Really anything that will fit and is a nuisance at the bottom of a larger container is fair game. Enter micro boxes. A long time ago my Grandfather used old baby food glass jars to store small items. It's a great idea, but I didn't like the idea of having glass containers bashing together while underway. These micro boxes are plastic, and the lids snap on securely. I bought a 10 pack of them for under $2.00 at a discount store. ($1.99 to be exact) Brilliant! I can fit over a dozen of these in each plastic bin AND still be able to put the lid on securely. Not that I NEED that many, but it's nice to know what's possible. I was pondering using them for food storage as well. Spices, sprinkles, cloves, etc. If it fits, it should work well. I haven't tested their water-tightness yet, so liquids will have to wait. These come in all sorts of sizes and shapes. Some with lids in different colors. You could color code your odds & ends! I'm losing it. Cabin fever, perhaps? This new storage medium got me thinking about ease of access to the stuff I already carry. So much of it is "one of these and another of those" kind of things, and it can get really difficult to find any particular item. A while back, someone suggested labeling the individual boxes on the outside with exact contacts. That WOULD work, but what a HUGE amount of work to keep it up to date. I do have specific boxes for things like, ELECTRICAL, MECHANICAL, ENTERTAINMENT, BULBS, and the like, but that's just a guideline. Over time they end up somewhat mixed despite my best efforts. I could use a spreadsheet style application and number the boxes, but really is that what I want to spend my leisure time on? Naaaahhhh! I'll keep looking into it. There HAS to be a better way. I've got all winter to come up with a new solution. Or at least a different one. Of course, I could just stick with what I have and sort through them based on my "Swiss cheese" like memory. Ah well... I've got the whole winter to puzzle it out. Winter Blues - What to Do? Plan! What Happened To "Global Warming?" Here we are again. After talking about Solar power for the last few weeks, it really didn't sink in that winter is here in the Northeast. I'm watching a snowstorm blow through while I write this. Of course, I didn't put my cover on the RV yet. I was too busy tinkering and testing the new solar panels. When I was in the rig yesterday, I noticed a small line of de-lamination on the wall next to my vanity mirror, below the light fixture. I had a small leak at one time that traveled down the curvature of the roof and ended up at the wall. I thought it was already fixed. Must be the cold shrinking the materials and the crack is back. Why do I bring this up now? Simple, it's a good time to plan your repairs and mods for the next season while you are forced to sit around and NOT go someplace in your RV! "Idle hands are the devil's hand-maidens." Umm, OK. That may be true, but I get antsy without some projects to keep me going until it warms up and I can get back on the road. What's planned so far? Well, I have the solar thermal hot water heater project that one should be fun AND useful. After that I've always wanted to replace the decals and refresh the paint on the lower 1/3 of my rig. I was looking at changing the curtains inside to gray? I am definitely going to re-visit the Lithium Phosphate battery question. I truly believe that it's the future for RV house batteries. Well, either that or some other new battery chemistry. I'm going to take a closer look at generating electricity from waste heat from the furnace, if it works well, it would be a great economizer, especially since you could extend your cold weather boondocking. Christmas is coming up! I have to get my list to Santa (and my friends and family!) out soon, I've been wanting a new cover for the RV. (Yes, I am well aware I forgot to put the old one on!) I've been eyeing a couple of welders so I can fabricate some heavier duty brackets and maybe a new battery drawer assembly and make other repairs as they come up. Oh, and an in motion satellite dome. OK that last one isn't all that useful, since I mostly travel alone. Watching TV while driving is BAD! But they are much better protected than my current crank up dish and far more streamlined. Of course, They are higher than the folded dish, so I'd have to re-examine solar panel shading. You see, it's easy to get excited about projects you haven't even started! The imagination is a powerful tool, my friends. Trip planning, is also a great way to pass the winter slow times. I try and seek out new places to explore, maybe even boldly going where I haven't been. Sorry, bit of a geek moment there. The internet is a great place to ferret out new and interesting destinations. I've found some really good ones over the last few years. The weeks between Thanksgiving and New Year's always seem to be hectic without getting much done. I have a great time (mostly) but feel a bit like I am shirking my responsibilities. Maybe I'm just replacing one set of responsibilities with another, but you get the idea! Much as I prefer warmer, nicer weather, the snow does look beautiful. Especially on Christmas eve and day. While I may not dream of a white Christmas, it's sure nice when it happens! This is it! The last article in a 6 Part series on my renovation of my Solar Charging System. We've covered why the old solar panels failed, why the new ones are lighter, stronger, faster (OK, not faster, but more efficient and generate additional power) and how you can get the system for your very own. Well, I have been receiving lots of mail from folks that are asking the same few questions. I'm going to try and answer them now. 1. Are these new style semi-flexible panels the same as the old, out of business, UNISOLAR rollable type? NO! Those were amorphous laminated silicon at 6.3% efficiency, the power generating modules inside the panels I am using are exactly like the ones inside regular, glass sandwiched, aluminum framed types. The modules we are using are 17.85% efficent, much better than the 14.6% I was getting from the old China sourced ones. The Unisolar panels were very low efficiency per square foot and you need a panel 216" (~18 FEET!) in length to make 144 watts! 2. How do I figure out if your system would work for me? The first thing anyone should do before deciding on any solar charging system is try to estimate (as close as you are able) the amount of energy you will consume in an average day. There are a few calculators online and spreadsheets that will help, but it's pretty simple. 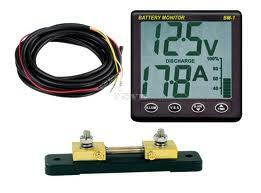 After that, take a look at Energy Monitors. It's nice to be able to know, at a glance, where you are Power-wise. 3. How do I figure out how much power I will use? Easy (mostly.) Take a look at everything you use. I started with my lights. When I first began, I had lots of incandescent lighting in my rig. 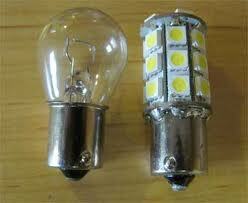 These are just standard bulbs, where the filament is heated to produce light. VERY power hungry. Each one used 2+ AMPS of power every hour. Yikes! Now I use LED bulbs, each one uses about 1/10th of an AMP every hour. Essentially dropping my consumption by a factor of ten. Since I had about 20 bulbs around my RV, that was a whopping 40 Amps every hour. Since I only have 100 amps to play with, it got eaten up very quickly. Next, look at your TV and entertainment use. 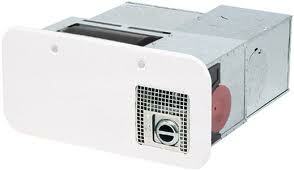 Most folks these days are using 120V AC TV's and DVD, Satellite, Media players, etc. After entertainment draws, take a look at your parasitic use. Parasitic use is things you can't really turn off. Like your CO/LP detector(s), your Fridge 12V control panel and anything else that stay on no matter what switch you flip! Next is figuring out how much you'll need for varying temperature. 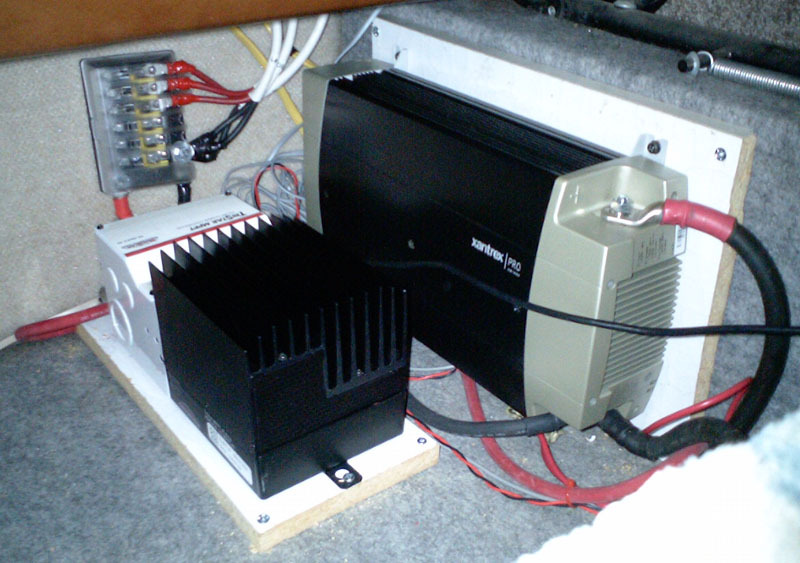 For example, if it's cold at night and you want to run your heater that's a pretty large draw from your 12V batteries. I use around 7.5 Amps every hour it runs. Depending on how you set your thermostat, it may run almost all the time, or on and off each hour. You need to know how often it runs each hour and do the math accordingly. For example, at a setting of 68 degrees Fahrenheit, my furnace fan runs about 15 minutes every hour, so for each full hour of run time I use around 7.5 amps. In this case 4 hours of actual time equals 1 hour of furnace run time. Figure 8 hours for an overnight and you get 2x7.5 amps = 15Amp/hours out of your batteries. I KNOW this all sounds complicated, but it doesn't have to be. As long as you have an idea of your overall use in a day, you can figure out whether a given amount of power coming from you solar charging system will fully charge your batteries in a given day of sunlight. I use around 80Amp/hours as a maximum in any given cycle. Since my panels are generating around about 25Amps each hour (average) I will be fully charged in a bit more than 3 hours after full sunrise, given my 2 105AMP/Hour batteries. A little less, a little more... doesn't really matter in the practical world. Remember, for lead acid, you can use 50% of their capacity without adversely affecting their lifespan. In my case thats 2 x 105amp/hours = 215A/hrs, then divide by 2 = 105A/hrs. For 4 batteries it would be 4 x [battery capacity] dived by 2] . Once you're batteries are charged. The full amount of amps coming from the solar charging system is available to run your "stuff." Essentially, free power. In a future article we'll take another look at Lithium Phosphate batteries to increase storage capacity and reduce weight. All in all, the system I have now, works perfectly for my use. 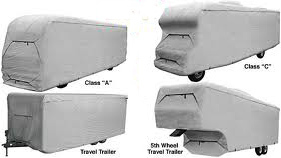 It was designed to be useful and intervention free for most RV folks. Since I KNOW I am raising more questions than I could answer in these short articles, I've set up an email for additional questions and interested parties to contact me about my system. Feel free to email me at:solar@thewanderman.com. I'll be happy to help anyway I can. This winter in the Northeast (I'm in NY, south of Kingston off the NYS Thruway - US87). I'll be available to take a look at your rigs, make recommendations and if you're interested putting together my system for you. Hello? Yes, I Got The Message, Take A Day Off For Thanksgiving! Yup, that's what I awoke to this morning. I had all the greatest intentions of continuing my testing of the new solar charging installation. Not going to happen. Seems we had a tiny bit of SNOW overnight. Of course, the weather "experts" didn't mention this fact over the last few days. I figure it must be a higher power telling me to take a break from tinkering and spend some time with my family on Thanksgiving! OK! OK! I'll do that. In fact, let's talk about celebrations and RV's. Getting together with some friends, perhaps in a remote spot, perhaps at a campground. Circle up the RV's and have a party! You have all the fixins; friends food, drink, power, heat and/or A/C, bathrooms, entertainment, etc. What could be better? Pull out the grill, pop a cold one and celebrate with friends. Anywhere you like, whenever you like. Sounds like the RV Lifestyle has some real allure! Besides, if you don't like the weather...MOVE! Have a caravan, re-create that classic trip out west. The only limit is your own imaginations. This year, I've got a house full of non-RV company. Mostly family, but a few friends too. Some of them think I'm crazy to light off for parts unknown with no reservations and no set schedule....but we know better...don't we! I'll enjoy helping with the cooking, seeing some of the people at the party and being warm and inside. But, in my mind, I'll be RV'ing. Thanksgiving is a time to be grateful for all you have and people to share it with. I know I'm grateful for all of you - taking the time to read my various ramblings and musings. I can't exactly say I'm grateful for Winter and snow, but I know I'll be grateful for Spring and another RV'ing season! Here we go... the third installment of a multi-part article series (Click Here Part-1, Part-2), all about my New & Improved Solar Panel install. Unfortunately, the first set of China sourced panels failed after 15 months or so, and they weren't responsive at all for requests to replace them. Since then, I have found a U.S. company (local!!) that makes better products and is willing to supply them at a reasonable cost. I also save a LOT of time and money in shipping. If all goes well with this final set of tests, I may be offering this system for installs soon. Time to get to removing and cleaning the roof for the new set of flexible solar panel prototypes. These are supposed to be even more efficient and I am eager to get to testing them out!! They look much "prettier" than the first set and have more output power to boot! Score! Almost everyone knows I hate cleaning. Having to remove the old adhesive seems like it's going to be a lot of work. So, in the best procrastinator's tradition, I will do that next week! For now we'll mount them temporarily again. The painter's tape trick held up through multiple rain storms without a problem so... why reinvent the wheel? Once in place, in REALLY shaded and overcast sunlight, I was seeing an additional 1Volt over the last set of panels. That doesn't seem like much, but it really is. It means in poor conditions I can expect more power. To put this in perspective, you need to have a certain number of volts to charge your battery. If you are charging a 12 Volt battery (like most RVs have) you'll need something ABOVE 12 Volts. In my case, the charge controller figures out what voltage the battery needs and converts the voltage supplied by the panels into the correct number. This is known as MPPT (Maximum Power Point Tracking). It all sounds a bit confusing, but simply put: it takes what the panels output and makes it work with whatever your battery needs. Without this technology, any volts above the number you need is "thrown away." This has the added benefit of allowing higher voltage panels to be used with lower voltage batteries. I cover this much more fully in a section of the original 6(!) Part series. With higher voltage from the new panels, I can have enough power to begin charging earlier in the day and lasting longer into the twilight hours (and cloudy days too!). After this week of testing in mostly cloudy weather, I should know how many Amps will be put back into a discharged battery over a given amount of time, under less-than-perfect conditions. The old system put out around 20 amps per hour back in the battery in full sun. All indications show this set of improved panels will be significantly higher. Given my average night-time draw of between 50 and 80 amp/hours, I should be able to recharge in an hour less! Only true testing can confirm this. I guess I will have no choice but to roll up my sleeves and begin removing the old adhesive residue and cleaning the underlying fiberglass surface. Lots of scraping, followed by lots of alcohol soaked rags. No, not the GOOD kind of alcohol either! Welcome to Part 2 of the new and improved Solar Panel install. (Click here for Part 1!) At this point, we have the prototypes temporarily mounted on the roof, with painter's tape. This was fine for static testing, Not so much for driving down the road! Since the old aluminum backed panels were adhered to the roof with a 3M product that wasn't really designed to come off, this was going to be a bit of a job. Not impossible, but not all that easy to do. Hopefully, I won't have to do this ever again! We began with the rearmost panel. Since it was close to the ladder and the edge of the RV, we could access two sides and have an easier time trying to separate it from the roof. Sure we would. This 3M paralastic adhesive is a tenacious product. I figured I could use a thin length of wire with handles on either end to slice through the adhesive a little bit at a time. Nope. All that did was break the wire. So, we tried thicker wire....nope. We did manage to get one of the corners started....only about 1/2". Next up was a thin aluminum strip about 1" wide. Nope. Needless to say I was getting a bit frustrated. A Bit Dirty, But In Good Shape. Then a brainstorm! How about using a big putty knife? 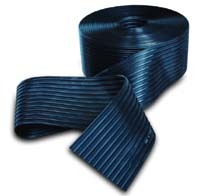 Thin, flexible and strong. I could wiggle it under the corner and begin slicing through the old adhesive a little bit at a time. It worked! It was slow and difficult, but after about an hour of struggle, we were able to lift off the old panel and see the roof once again! There was a considerable amount of old adhesive residue left on the roof, but it scrapes off pretty easily. After that we'll use some alcohol to clean the whatever is left. You'll notice I've left all of the wiring and the junction boxes intact. Junction boxes are where the Solar panels' themselves attach to the the wiring going to the charger. For this type of install these get adhered either to the top of the panel or the roof. The prototypes have enough extra material on the edge, so I will be mounting them there. Preparation of the surface will be critical to the longevity of the install. When I installed the last set of panels, we meticulously cleaned the surfaces before applying the adhesive. Later on in this series of articles we'll go over that again. Of course, at that point, I'll be almost finished! Last week, I installed 2 of the prototype panels on top of the old Aluminum backed ones. Just to test the efficiency and whether they would perform in a similar way. Well, after a week of testing I am happy to report these two are putting out slightly MORE power! There were a couple of mechanical problems...the wires that connect the junction boxes to the solar panel were on the wrong side, that we would have to change, but for a temporary test all was fine. I just used some alligator clips and wire to span the distance from the junction box to the panels output wires. To keep everything dry I put it all in some zip lock bags. The successful test was a bright spot this week. I knew we were on the right track and that all this would end up being a better, lighter system that would give me more power to work with. Next, I called the manufacturer. We're in pretty much constant contact on this project, as they are very interested in the RV marketplace. It's really nice that they are in the U.S. and only a few minutes away from my home base. We went over the small issues with wiring placement and made some dimensional changes. He promised me 3 new prototypes, better than the old ones next week. Once they arrive, I will have removed the old panels, cleaned off the adhesives and prepped the roof surface and setup the wiring to accept them. We'll tape them up on the roof again for a few days to take power and efficiency readings before I make it all permanent. Needless to say, I am getting excited! Tune in next week for the tests and next steps! P.S. This is my 100th Article!! Yay! !